1- Your friends and family are so excited about the idea of handling all the stress and work on your wedding day. You literally have people lined up saying they just don’t think they would enjoy being a part of the actual day and want nothing more than to miss out on special moments as they handle issues, deal with other guest complaints and manage the vendors. 3- You are absolutely in sync with all of your vendors and you are sure that because of how much you like each of them, they will do a fabulous job working together (possibly for the first time) because of how much you like them. You just KNOW there will not be any miscommunication issues or timeline discrepancies because that type of thing doesn’t happen. 4- You are willing to arrive to your venue early so that you can be sure everyone has arrived on time and everything is being setup properly. You don’t care about missing out on photos or parts of the ceremony because doing a walk through will be no problem for you and you know how important it is to look over the style, design and layout before guests arrive. 5- You will not be tired and tipsy by the end of the evening so you are thrilled to stay after and collect all of the items from the wedding and load them into the car to take home. Not only will you be wide awake, energized and sober you KNOW your bridal party will be as well so they will all be on board to help. Sometimes everything goes off without a hitch despite not having hired a planner. But a majority of the time, there are several small (and potentially a couple BIG) crises that either you or a close friend or family member will have to deal with. Your wedding (or any large event that requires advance planning) should be about FUN and enjoying every moment. Don’t leave things to chance. Don’t make assumptions about the venue coordinator; they might not even be your contact come the day of your wedding. Don’t count on your DJ to organize your reception, that is not their job. Fitting a planner into your budget can allow you and all of your guests to be fully present at your wedding. The day goes by way too quickly to spend it organizing chaos or directing traffic! Let US do all the work so that you don’t have to! We are back with a great behind the scenes interview with the husband and wife team of One Red Door Photography. If you've never met Dustin & Melissa, or never watched their LIVE Facebook videos, you are missing out on some fun. Together they make a friendly, fun and laid back team that is able to capture some candid, adorable and memorable moments from your wedding day. Q: How you describe your style, your personality and/or your brand? A: Our style is very "in the moment", while we may suggest a shooting location, we don't create fake situations. We love to photograph happy couples who get us. We are a creative husband and wife photog team and constantly learning and perfecting our craft. A: Not doing enough research and educating themselves to learn the market and make the most appropriate decision for them and their budget. A: I love when a couple chooses us. It means they have done research on what is the best fit, and not only did they like our work, but they connect with us. A: I love when our couples hire a great wedding team. The wedding coordination is a must, photography too. From there, they should have a priority list. Maybe they don't care what their venue looks like but they want an overflow of flowers. Or maybe they are dreaming of a videographer but the food doesn't matter. In other words, I think working together on a priority list and a budget with a break down of each percentage is most important. A: Hair, makeup and a FAB outfit for the engagement session. Also hair & makeup for the wedding day. I also feel even if they can't afford a wedding planner to try and save some budget for a day of coordinator. A lot of what a coordinator does, falls on our shoulders the day of. A: Out of town engagement session!!! Something fantastic. Q: What are a few things that bridal clients should review in contracts? A: EVERYTHING. Also make sure they have one. A: Our ideal client is a bride who appreciates photography but trusts us and works together for the end result. They are laid back, they love to laugh, have fun with each other and are so excited to get married. They will have either a rustic wedding or something at a unique / classic venue. Their colors will be soft with metallic accents and family heirlooms. A great interview with a great pair of people. Check out their work here at One Red Door Photography. This weekend we had the pleasure of helping our friends at A Budding Tree with some setup for a wedding. We loved helping and LOVE weddings but this was our first experience with a wedding WITHOUT a planner and I was in SHOCK! Guest book was there but there were no pens available for signing (and they were going to need to be specialty pens based on the guest book. These issues were apparent to me in the very FEW hours that I was there setting up and this was even before the wedding started!! Who knows how it went once the evening started. I left the wedding (after attempting to fix a few of these issues since I was there and able) dismayed at how someone's wedding day could end up going so terribly and wondering HOW could I help? How can I help the bride who doesn't have the budget (or interest) in hiring a full planner for her wedding. I have to be able to stop this from happening so that EVERY bride can have an easy time with their wedding. I met with the Manager of AEP and we discussed what could be done to save the planner-less bride. What was created from this meeting was our very new service! 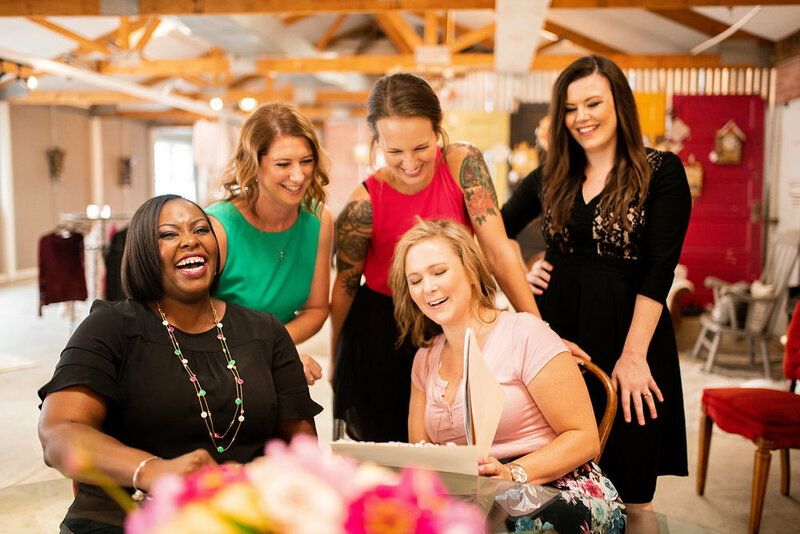 This service will provide a 2- hour meeting with all of the people involved in your wedding plans (mom, bridesmaid, friends). We will review the full details of your wedding as well as provide you with a rough timeline to determine how your day should look and a check list of items that you will want to check and review before the big day. This service will allow for you to take all of the information and manage the details and expectations ALL without a planner. While, my plan isn't to have a bunch of brides NOT hiring a wedding planner, I couldn't help but think there needed to be something for all of the brides who just don't have the budget for full services. My preference is that you do have a planner to manage your day, so that family and friends aren't working but I know that some brides won't/can't or don't want to hire a planner. My hope is that this service will save all of those weddings (like the one I mentioned above) and all of those brides from the chaos and mess of mistakes, oversights and missing items. If this sounds like something you'd like, please email us today!